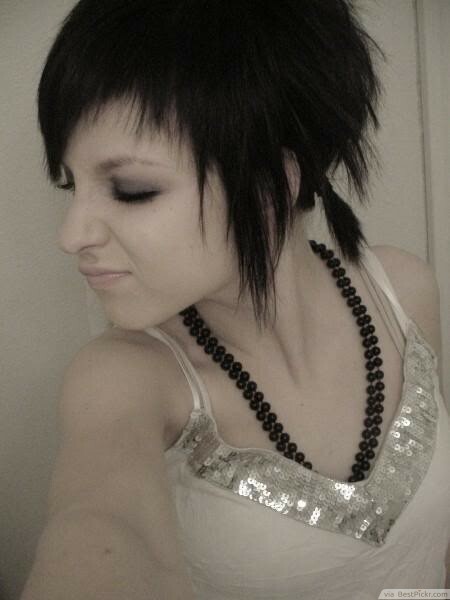 These adorable little pigtails are perfect for an Pop Emo girl with short hair. With this many layers, length in the back can be awkward when it’s longer than a pixie but shorter than shoulder length, and this is a great remedy. Keep your dog ears out of the pigtails for even more emo style points.